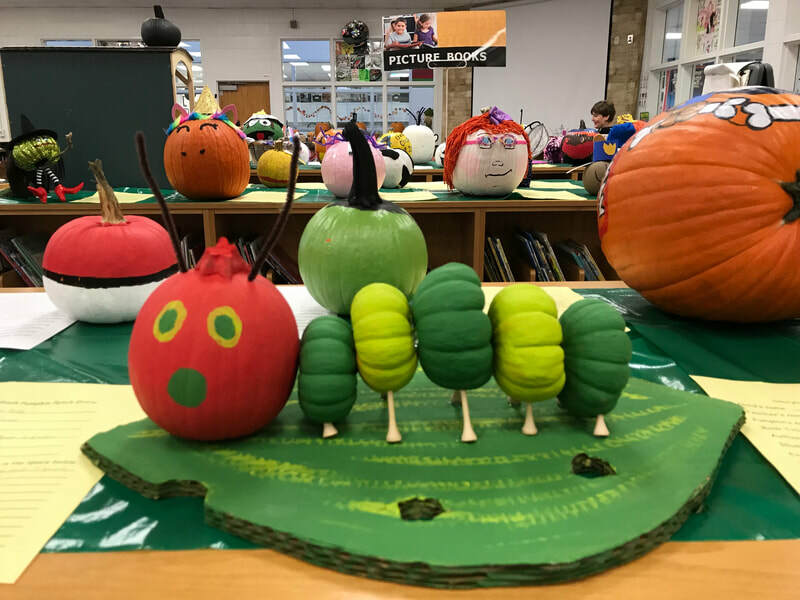 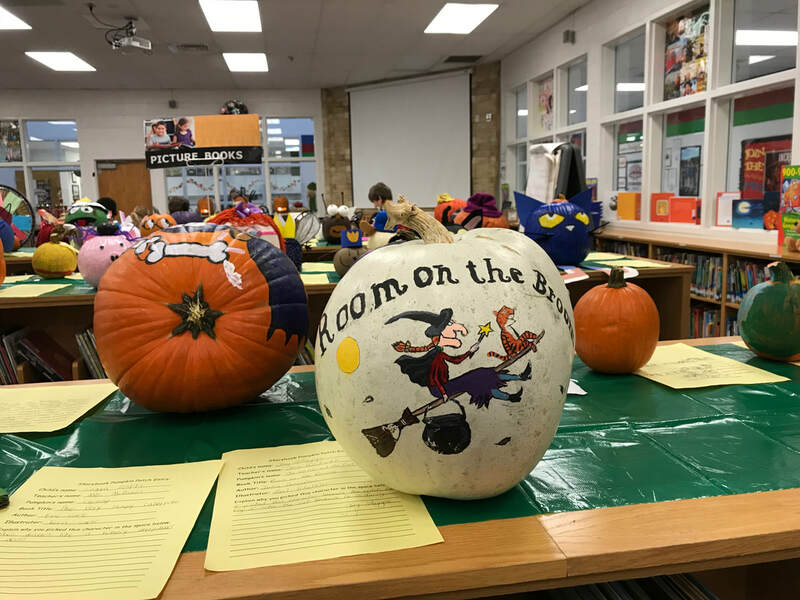 On October 22, 2018, Woodstation's Library Storybook Pumpkin Patch began growing! 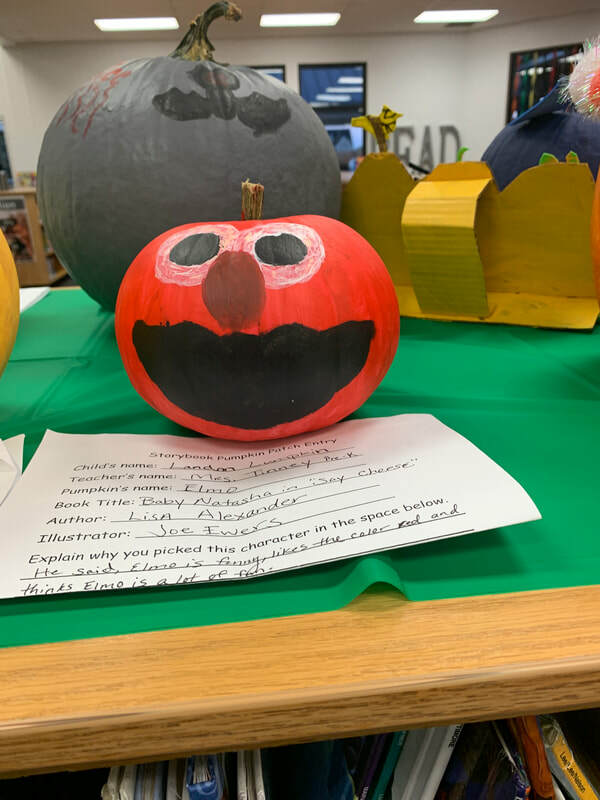 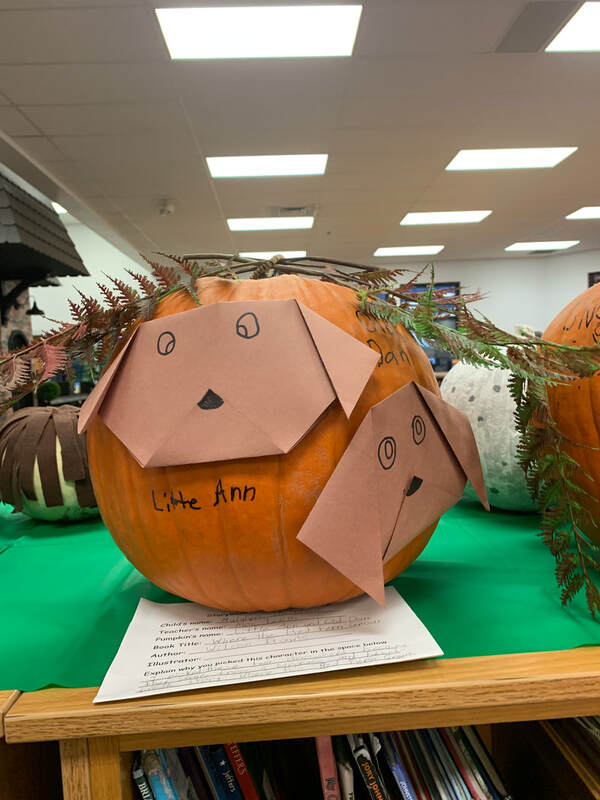 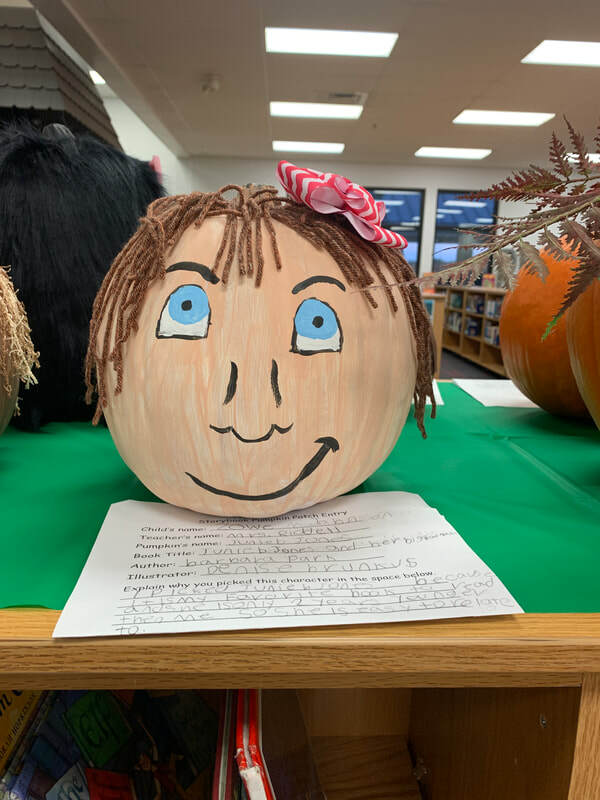 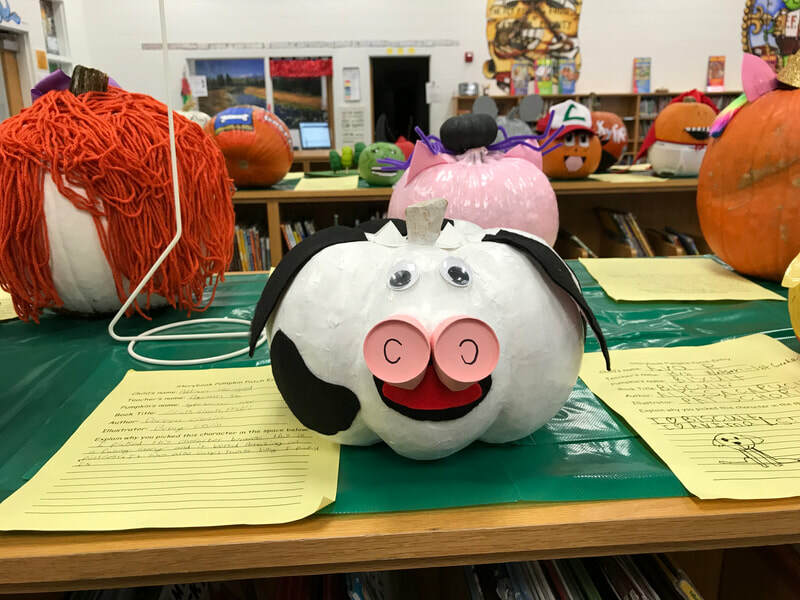 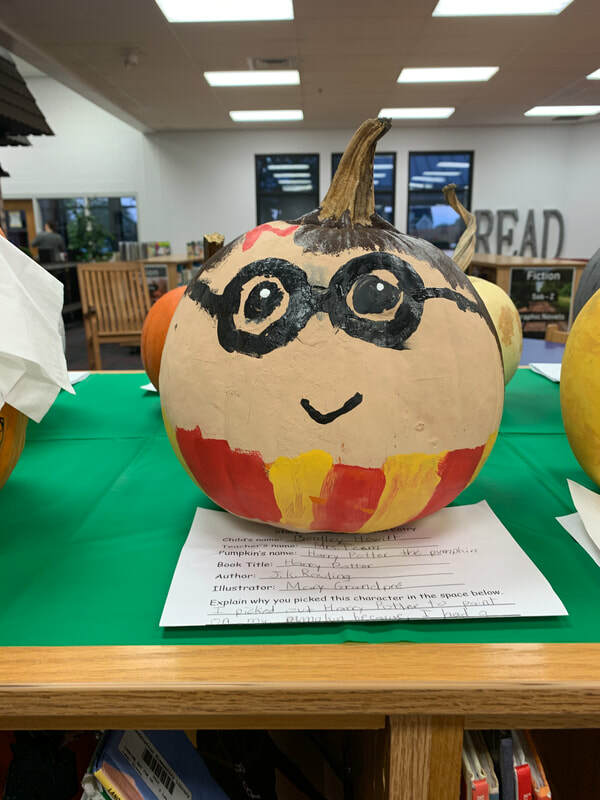 Students and parents were encouraged to decorate a pumpkin to look like one of the student's favorite book characters. 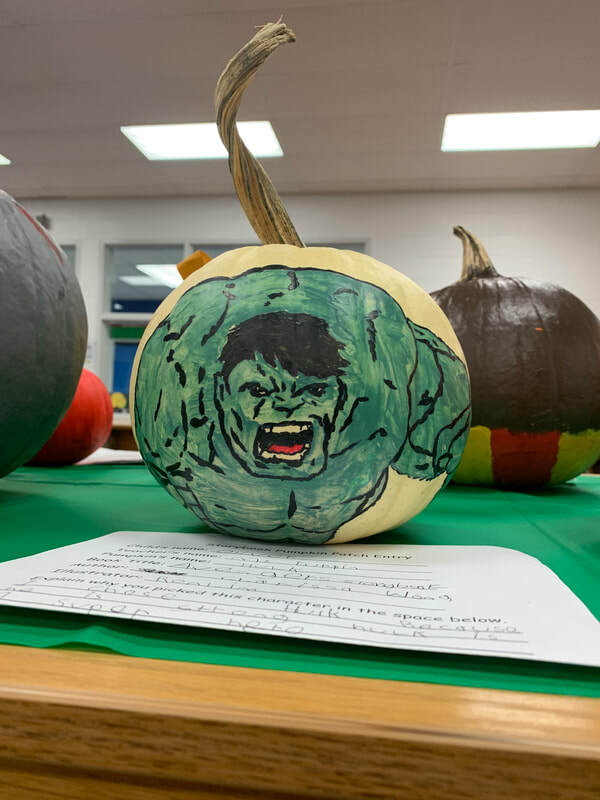 Wow, we have some creative students and parents! 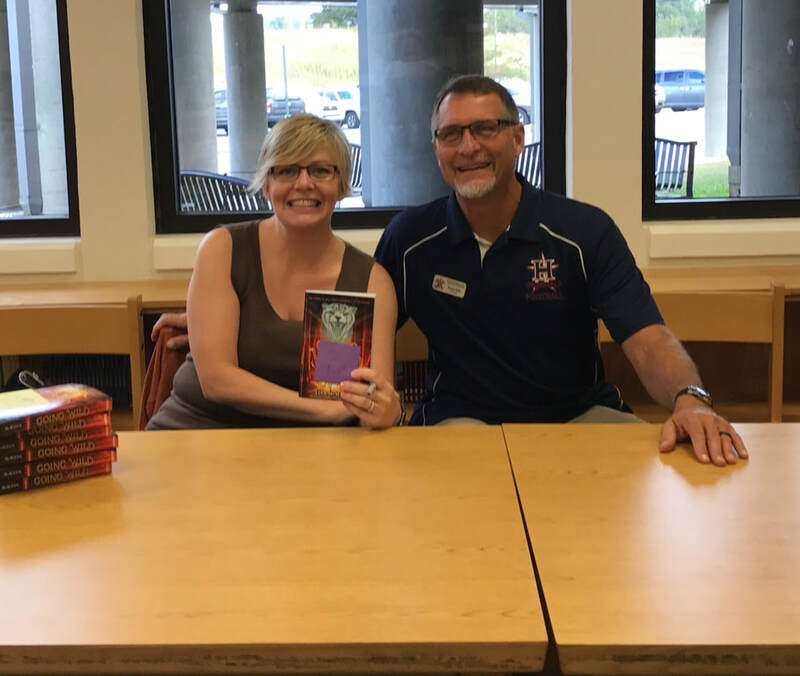 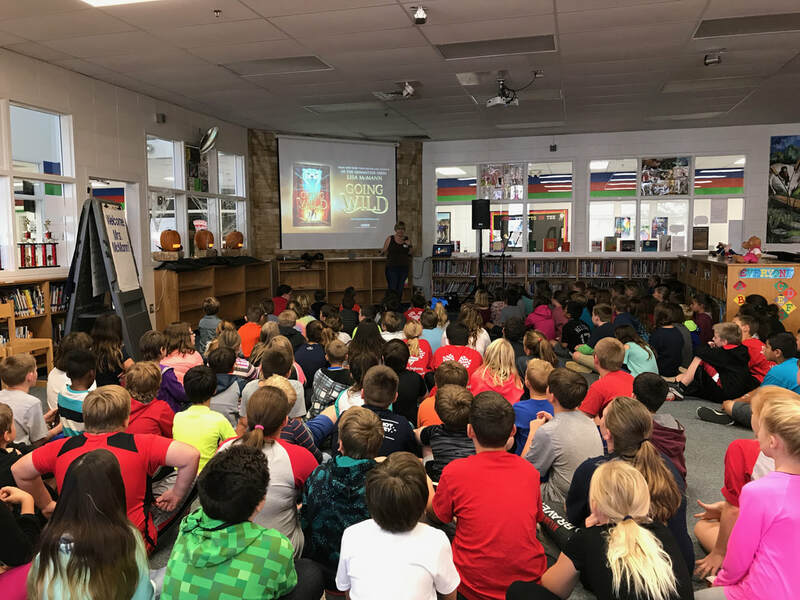 October 15, 2018, Author Michael Finklea visited Woodstation and talked with 3rd, 4th, and 5th grade students about his writing process and shared the first chapter from Creepers. 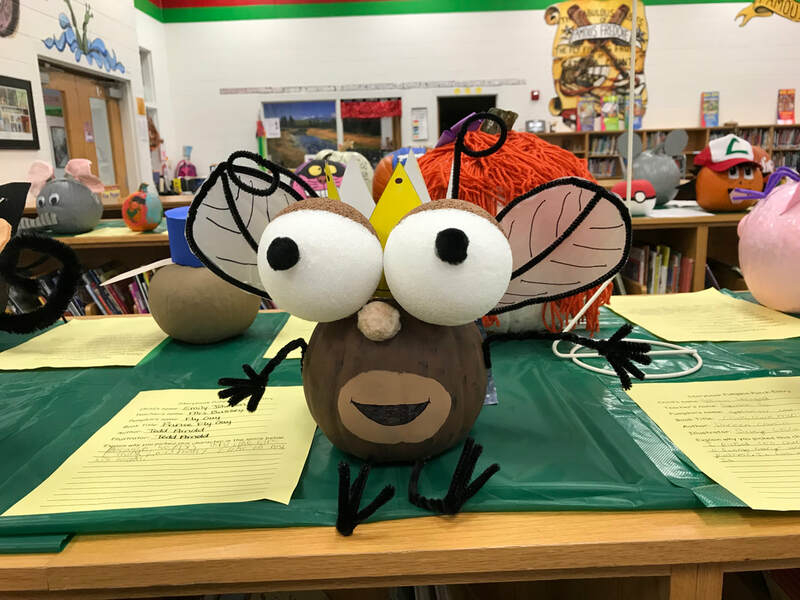 Remember, all purchases benefit our school. 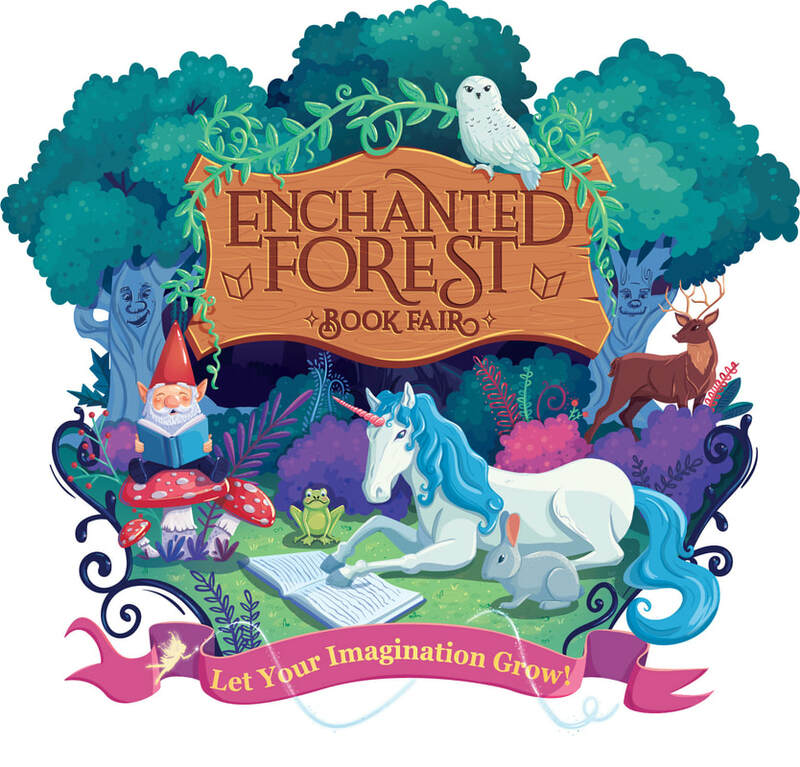 I hope to see you at the Book Fair! 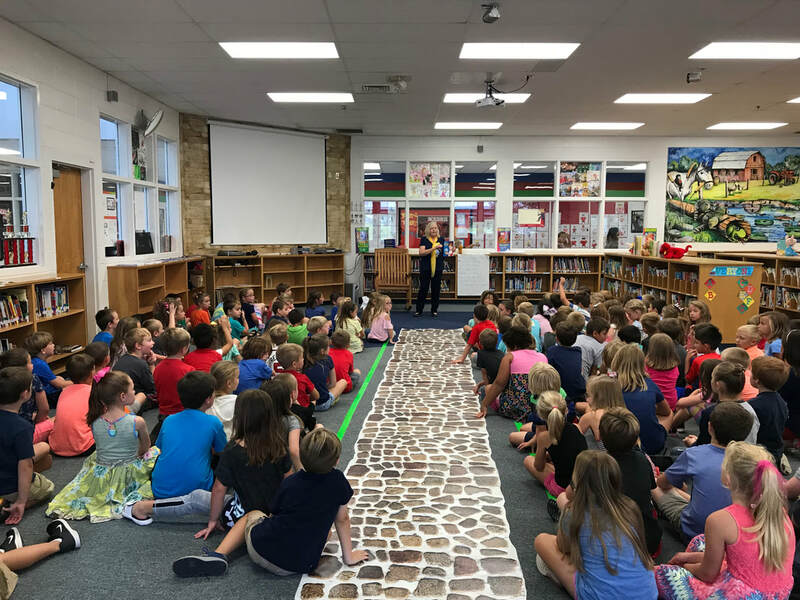 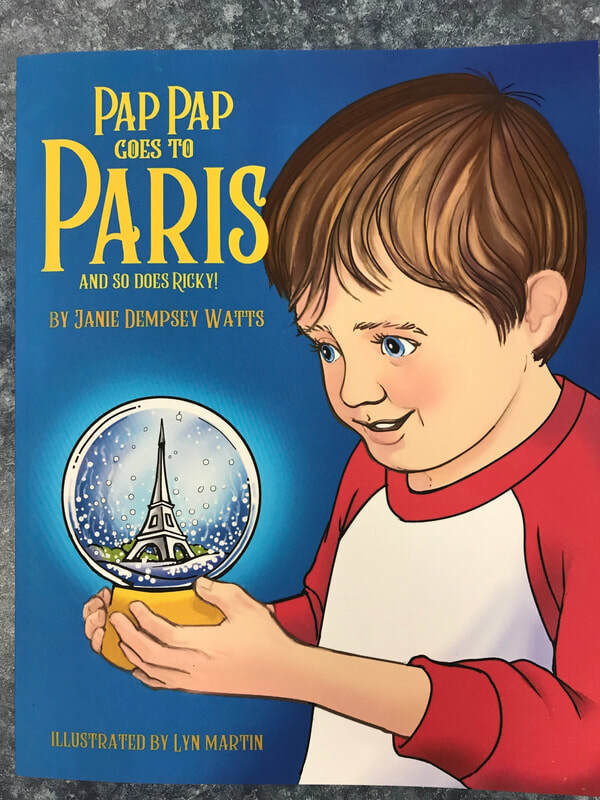 September 21, 2018, Author Janie Dempsy Watts visited Woodstation and read Pap Pap Goes to Paris to students in Pre-K, Kindergarten, 1st, and 2nd grades. 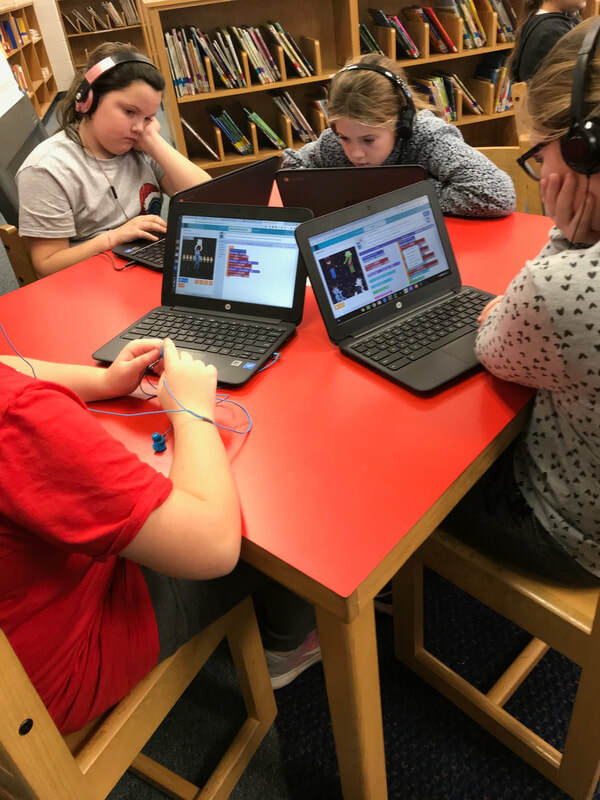 Students in the 4th & 5th grade's reading club are reading Wonder by R. J. Palacio on Wednesday and Thursday mornings in the library from 7:25 until 7:50. 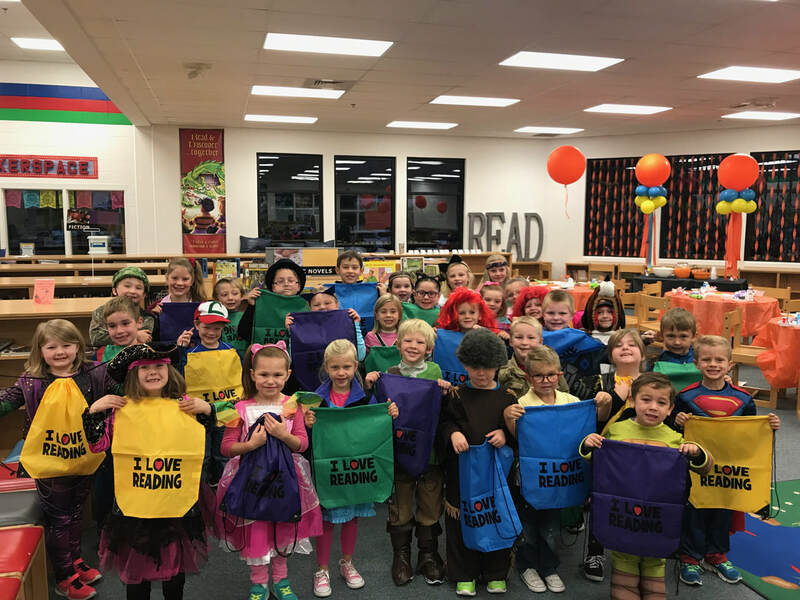 Students that read 20 books and completed a reading log were treated to breakfast in the library with prizes and treats on October 31, 2017. 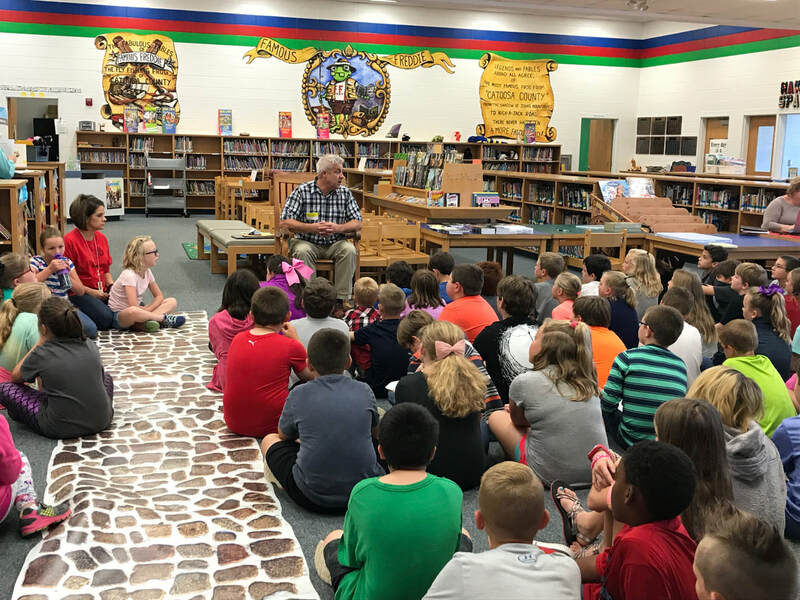 Fourth & Fifth Grade students read the book during our morning reading club time prior to her visit in order to stimulate great conversation about her process. 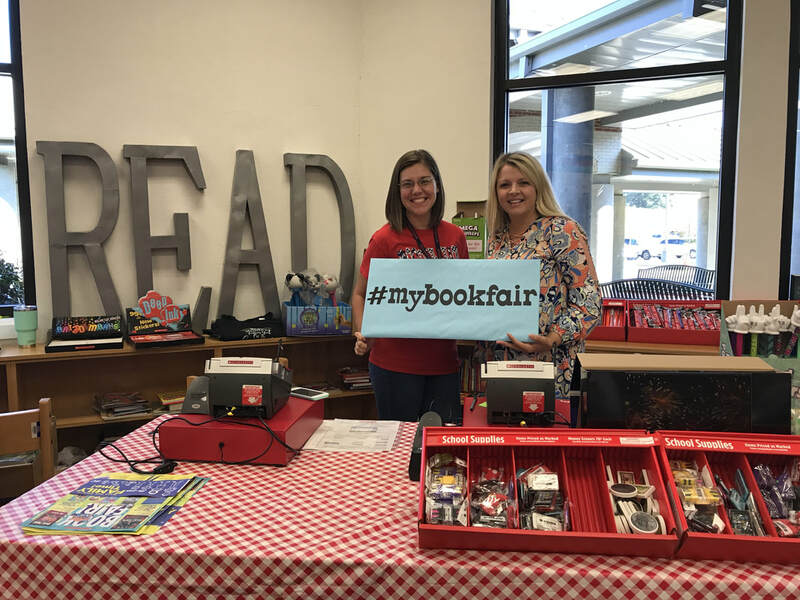 Parents that brought a photo ID were able to get their very own PINES library card! 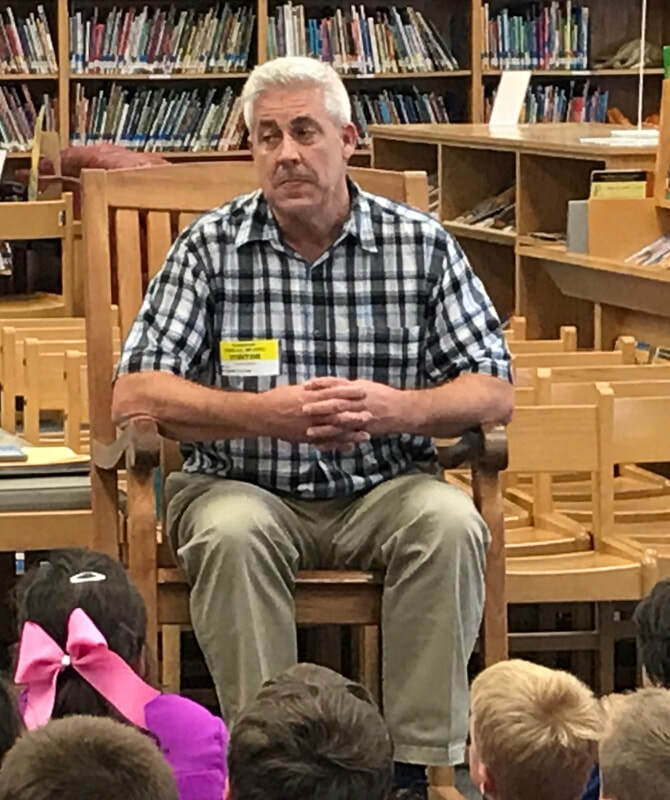 ​Mr. 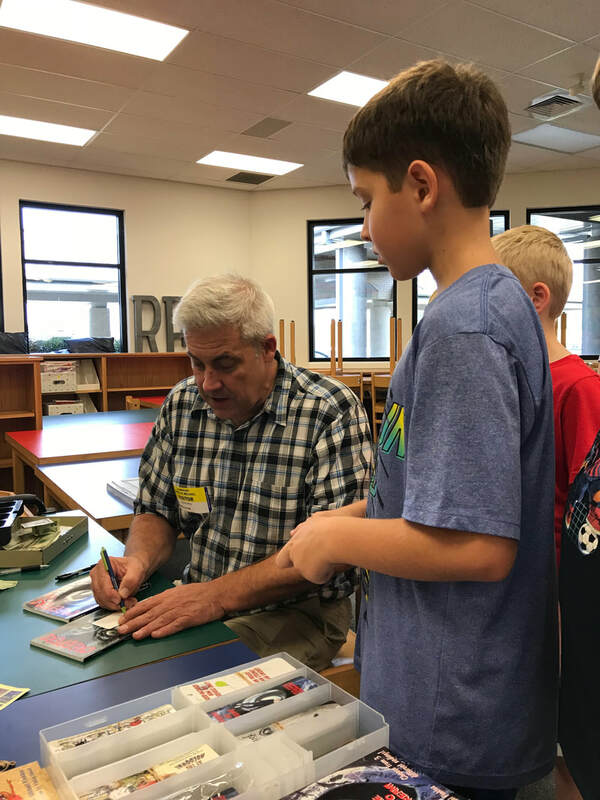 Ellis is proud to show his PINES library card to our students. 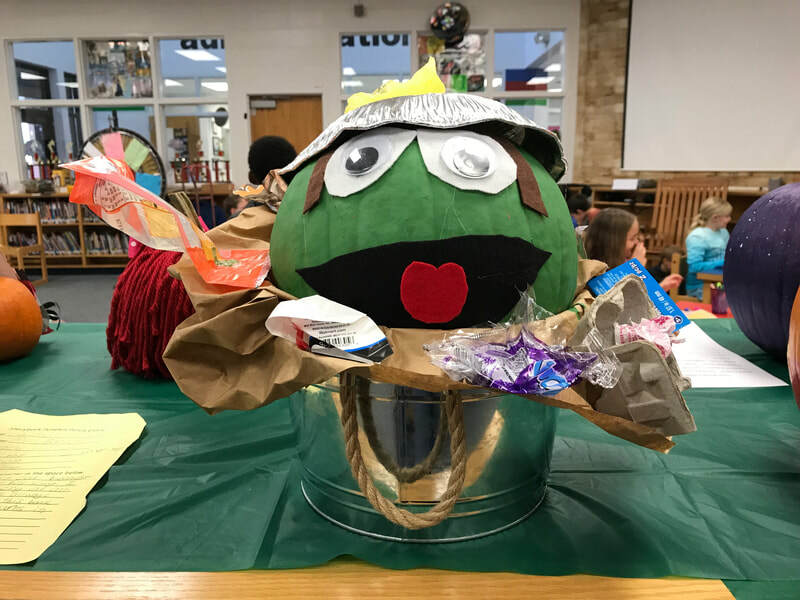 ​Students enjoyed spinning the wheel to win a prize. 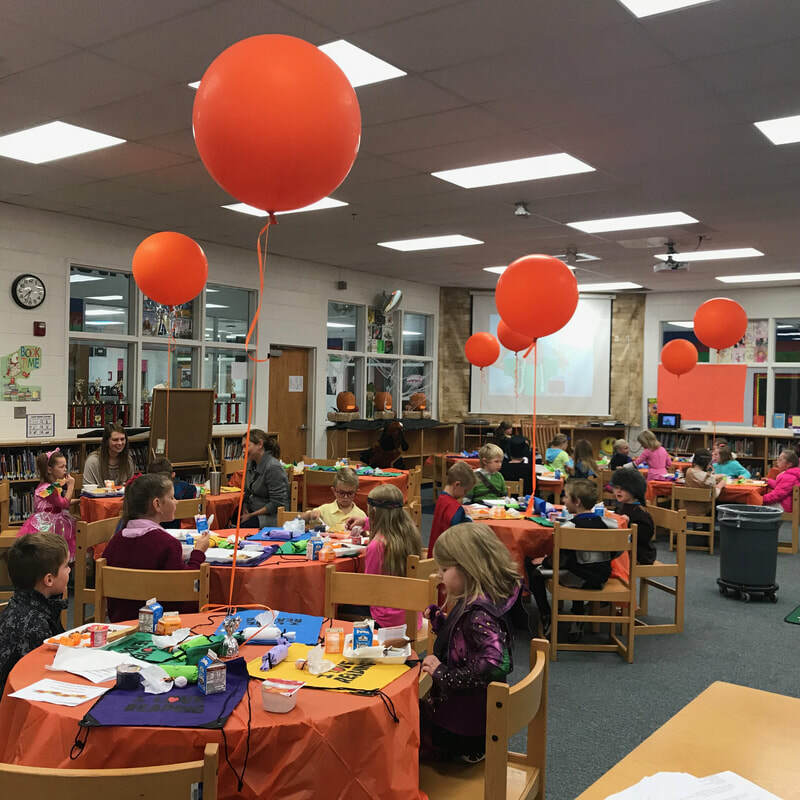 If they had, or acquired that night, a PINES library card, students were given an ice cream pass. 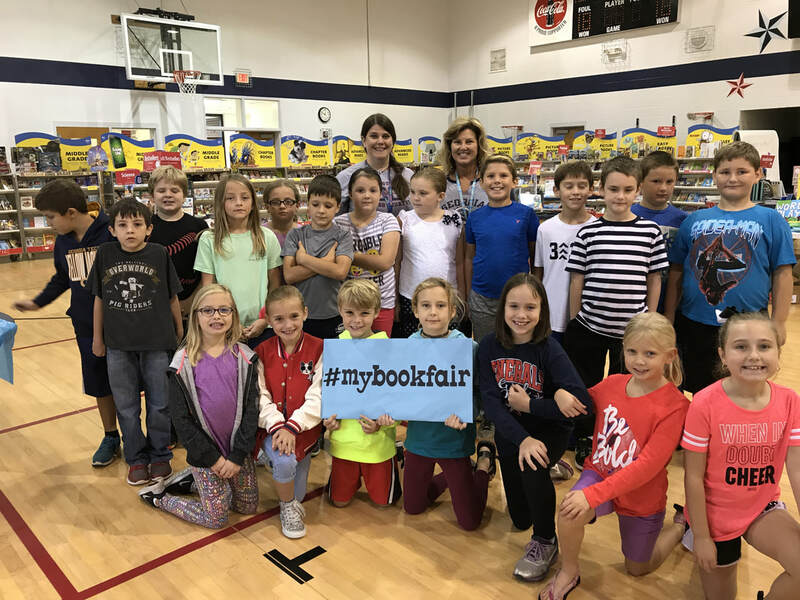 Mrs. Riddell's class visits the Book Fair. 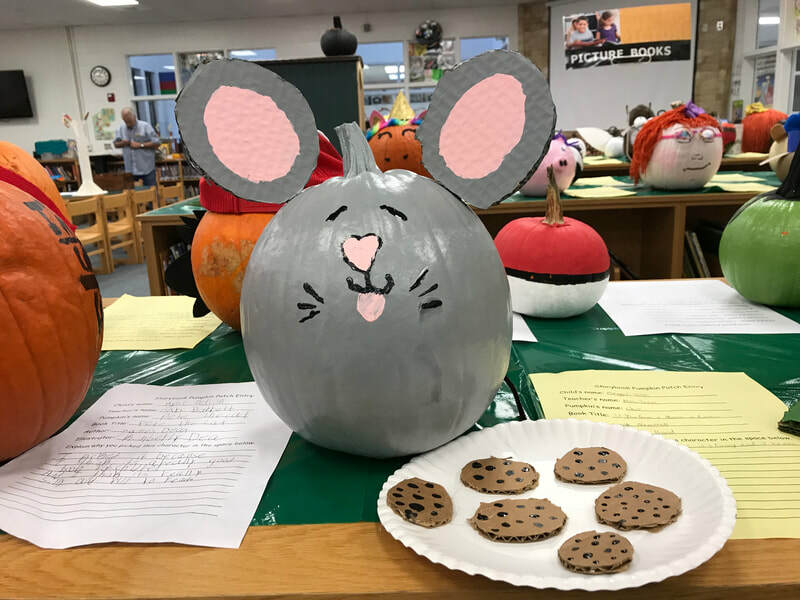 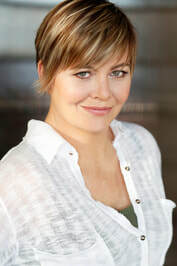 ​ Our volunteers are the BEST!